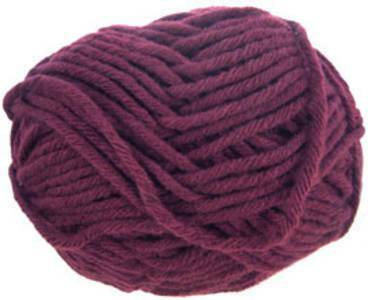 Sirdar Hayfield Superchunky knitting yarn with wool, 53, Hollyhocks, burgundy. Soft and practical blend of 20% wool, 80% acrylic. Knits to a tension of 9st, 12 rows to 10cm on 10mm needles. 72m per 100g ball.